MORGAN, HENRY, merchant; b. 14 Nov. 1819 in Saline, Scotland, son of Colin Morgan and Mary Kidd; d. unmarried 12 Dec. 1893 in Montreal. Henry Morgan was the third son of a family in modest circumstances. In 1837, after completing his schooling, he began his apprenticeship with a Glasgow firm that specialized in wholesale dry goods. 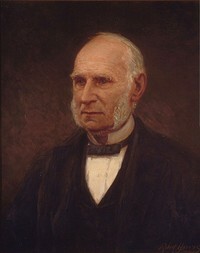 Drawn to the prospects for advancement in North America, he decided to emigrate to Montreal in 1844. On 14 Jan. 1845 he entered into partnership there with his compatriot David Smith to set up a retail dry-goods business under the name of Smith and Morgan. According to their five-year agreement, Morgan would be responsible for purchasing and sales, and Smith for accounts and payments. In May they opened a shop on Rue Notre-Dame where there were several other establishments of this kind. Concentrating on woollen goods, fabrics, drapery, and household linen, Smith and Morgan did well from the outset. In June 1846 Morgan proudly announced to his brother James, who was their buyer in Glasgow and London, that he had made a profit of £800 after just a year in business. The firm had nine sales clerks and apprentices, and Henry himself worked unstintingly, for he mentions arriving at the store at five a.m. and not leaving before two a.m. the next day. He kept a close eye on purchases and made many suggestions and comments to his brother about the quality of the goods, even going so far as to tell him to avoid articles with much green since clients disliked the colour as being too Irish. In September 1849 Morgan, aware that his association with Smith would end the following May, invited James to join him as a partner. In 1850 the two formed Henry Morgan and Company, and George W. Penney agreed to buy goods in London and export them for a commission of five per cent. The following years were marked by continued expansion and a move into larger premises on Rue McGill in 1853; in 1858 the firm took over an adjoining building as well. Henry Morgan and Company carried a wide variety of draper’s supplies and fancy goods imported from Europe. 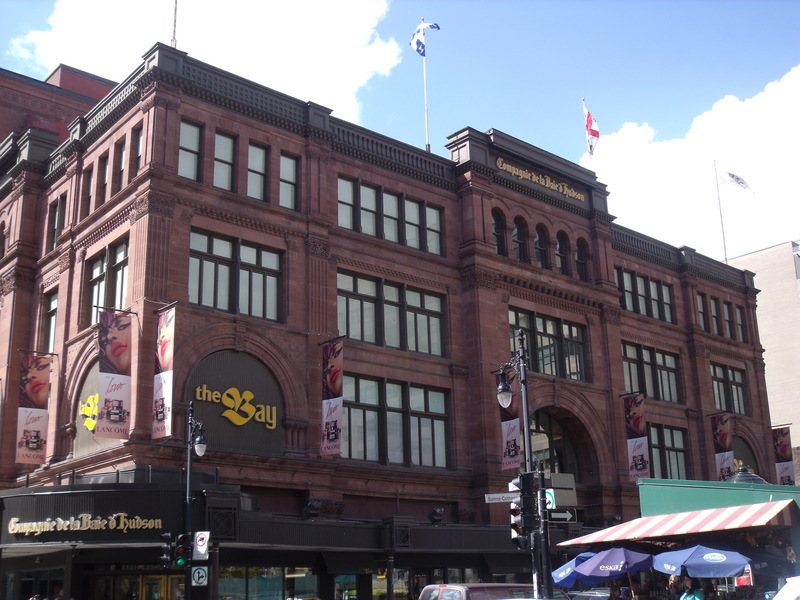 It was known as “the largest store for dry goods, dresses, and fashion items” in Montreal. By 1853 it employed at least 20 clerks. The family nature of the enterprise was heightened when James Morgan’s son James came into it in 1863, starting at the bottom, and when Colin Daniel Morgan, the son of a third brother, William, joined the firm in 1869. Meanwhile, in 1866 it had moved into even larger premises – a four-storey building at 255 Rue Saint-Jacques put up by Harrison Stephens*. According to the 1871 census the company had 37 employees, 12 men and 25 women, and the inventoried value of its stock totalled some $640,000. Always eager to keep the store up to date, Henry himself travelled to Europe annually to see the latest fashions and make his selections. It was probably in 1872 that Morgan’s store pioneered the display of goods in the window. Previously the windows of shopkeepers had been tinted to prevent competitors from knowing what new items the store had to offer, and people had to rely on newspaper advertisements to get a general idea of the merchandise that had arrived on the latest ship. Another bold initiative was taken around 1874, when Henry Morgan and Company was made Canada’s first retail department store. There could be no lingering doubt as to Morgan’s innovative spirit. Inspired by the French model, launched in Paris in 1852 by merchant Aristide Boucicaut and then adopted in the United States, this new type of operation left each manager responsible for the purchases, sales, and supervision of his own department. 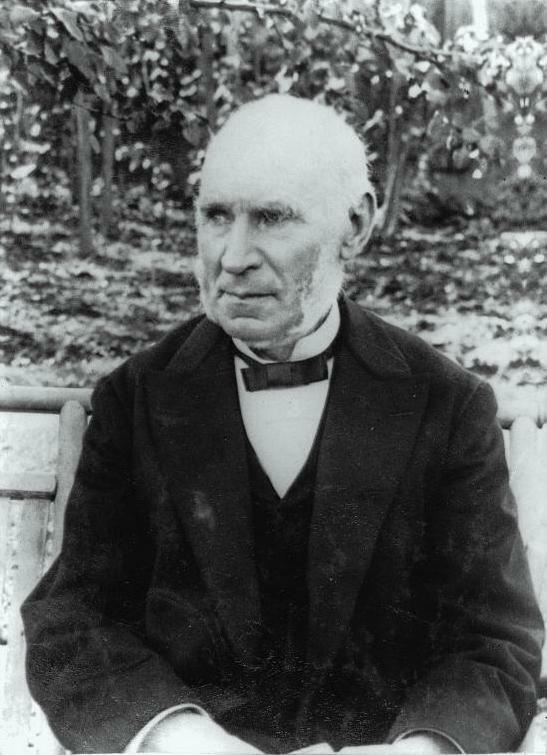 After 32 years as head of the company, Morgan took in his two nephews as partners in 1877. From then on, Henry and James left purchasing, departmental supervision, and modernization to the two young men. 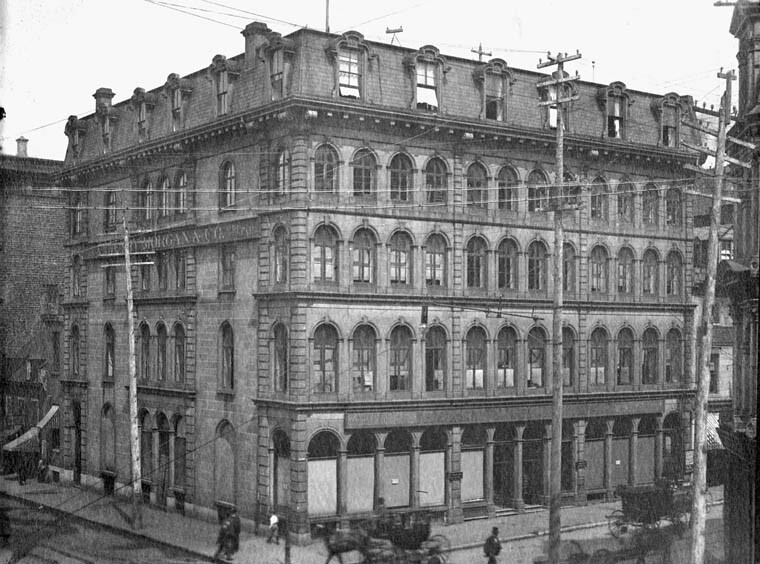 The Morgans showed further proof of daring when in 1891 they decided to leave lower Montreal and take up quarters in a new store, built for $325,000 on Rue Sainte-Catherine, at the top of Beaver Hall Hill in a residential section. Their belief that urban development would move northward was soon to be proved correct. Nine months after James’s death, Henry Morgan himself passed away, leaving a prospering business in the hands of his nephews. 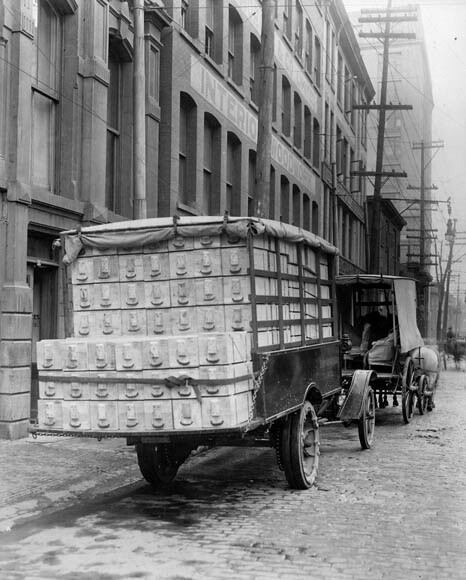 Henry Morgan and Company continued to expand in the 20th century and remained a family enterprise until it was sold to the Hudson’s Bay Company in 1960. McGill Univ. Arch., MG 1002, Acc. 2443. NA, RG 31, C1, 1871, Montreal Centre. Montreal Daily Star, 12 Dec. 1893. Montreal directory, 1842–90. Architecture commerciale: les magasins et les cinémas (Montréal, 1985). Atherton, Montreal, 3: 629–31. J. W. Ferry, A history of the department store (New York, 1960). The storied province of Quebec; past and present, ed. William Wood et al. (5v., Toronto, 1931–32), 4. Gazette (Montreal), 13 Nov. 1923. Montreal Daily Star, 10 Nov. 1923, 21 May 1945. Women’s Wear News (Montreal), 25 June 1936. Huguette Filteau, “MORGAN, HENRY,” in Dictionary of Canadian Biography, vol. 12, University of Toronto/Université Laval, 2003–, accessed April 24, 2019, http://www.biographi.ca/en/bio/morgan_henry_12E.html.